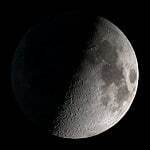 You can read much more detail in our Guide to Observing the Moon, but here are your essential facts about the phases of the moon. 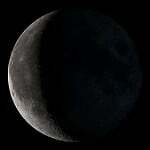 Starting with the new moon, it takes 29.5 days for the moon to work its way to a full moon, then back down towards the next new one. 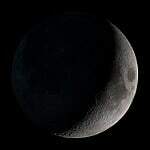 Whilst the moon 'grows' from new (no surface illumination) to full (surface is 100% illuminated), it is called a waxing moon. 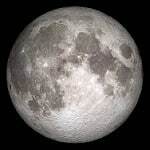 For the 14 days it takes for the full moon to thin and become the next new moon, it is known as a waning moon. 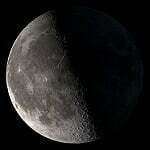 When the moon is 'half full', it is either at first quarter (waxing moon) or last quarter (waning moon) - both are excellent times to view the moon through a telescope! 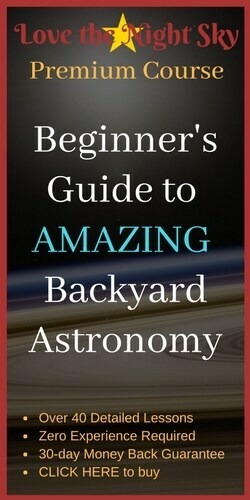 The final two words you need to learn are gibbous and crescent. 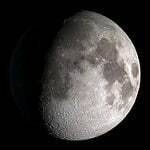 A gibbous moon is one which is more than half full but less than full, whilst a crescent moon is less than half full. It is the sun hitting different sides of the moon as it orbits Earth which creates the phases of the moon. 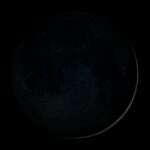 Interestingly, this creates some phases of the moon facts relating to the time of day they can be seen. 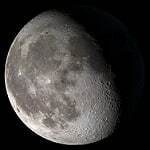 A waning gibbous moon rises at night, before midnight, and is still out in the morning - but will set before midday.